When you go hunting it’s not only important to know how to hunt but it’s also a great deal to know how to dress. Your clothing might be your best friend when out on the field or, by contrary, your worst enemy. There are many things to consider when you decide what to wear when hunting and many questions to be answered right before you go out into the wilderness. 0.1 What and when to wear? There are three important layers to consider for your hunting clothing and each of them is important. If the first layer is all about keeping you warm and wick free for all time, the second layer is supposed to take care of you even if the third layer exists or not. Keep in mind that you can vary the base layer and the middle layer underneath the hunting jacket, depending on weather and hunting conditions. By the time you get to the third layer, it’s almost obvious that this clothing is supposed to do more things than keeping you warm and dry. As this layer is practical the only thing between you and nature’s adversity, it’s important that this layer protects you against the elements, no matter what they’ll be. Typically, the third layer when hunting is the hunting jacket. This is supposed to keep you warm and dry and protect you from the elements. The best hunting jackets are lightweight also so that you can easily carry it in your backpack. 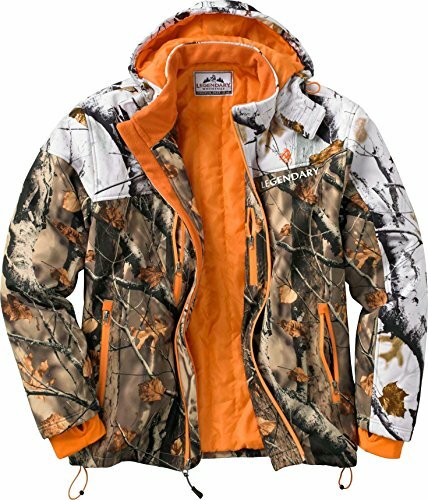 A hunting jacket is in most cases a camo jacket and the best camo jacket would be incredibly quiet. This jacket gives you freedom on the move so that you can hike, hunt and shut in the most comfortably way. 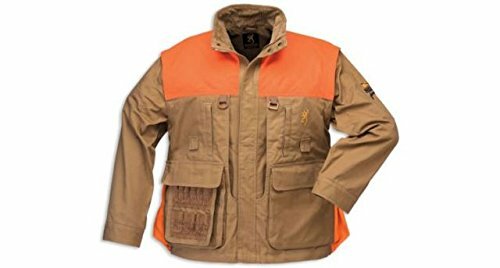 Most of hunting jackets out there are Gore-Tex or something similar to it and they shed water, release body moisture and block the wind-at the same time. These things are essential for a hunting jacket. Nowadays, you can find many great hunting jackets on the matter. Your budget has a say in it but this is not an issue anymore as many manufacturers give great products for not so much money. You can find a good hunting jacket that is water resistant and lightweight for a fair price. When the weather very cold or pouring rain, a good hunting jacket would do its tricks. This jacket is not only waterproof, but also great when it comes to breathability, life span and weight. Giving you space to organize your small items is also important for a good hunting jacket. You need to have at least some pockets for your small gear and, more important, they need to give you easy access to your items just as well. It’s also important that these pockets keep your items safe and secure so zippers (with waterproof cover is to look for) or snap buttons are essential for that. Look also for a camo jacket that comes with a detachable and adjustable hood. It’s important that the hood gives a snug fit and you can lose it when not in need of it. When we talk about the fabric of your hunting jacket, try to stay away from a plastic poncho or rubber rain slicker. They might be totally waterproof but they are totally worthless when we talk about breathability. As you move a lot or get some physical effort when hunting, you might sweat on some point on your hunt and this is why breathability is so important for your hunting jacket. Go for the Gore-Tex, E-vent, Toray or something similar for your camo jacket. If you go hunting for a while, you must know by now that weather gets unpredictable out there. So, you need a hunting jacket that is lightweight. But for a jacket to not only to be light, but also breathable and heavy duty, you need to pay the extra bucks. The hunting jacket is your shield against nature’s elements so it has to take well any branches, rocks. Your jacket has to be also tough and reliable when meeting nature’s challenges. The tougher your hunting jacket gets; the more weight is gaining so you need to really give a good thought about what counts more for you. Luckily for you, high quality fabric technologies create waterproof jackets that are long lasting, lightweight and even a bit stretchy for a snug and comfortable fit. All in all, your hunting jackets need to be between 1.5 and 3.5 pounds, as a final clue when you go on a hunt for your hunting jacket. Keeping you completely scentless while hunting, this ScentBlocker Outfitter Hunting Jacket gives a good fit to both women and men. 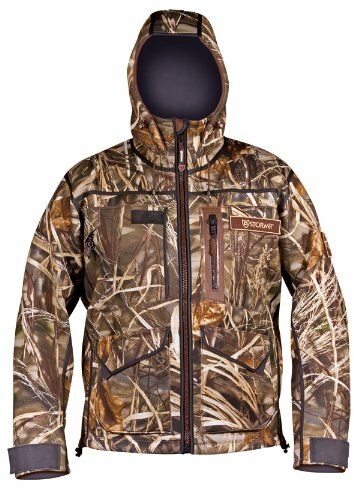 All in all, price and quality, this jacket is great when hunting. 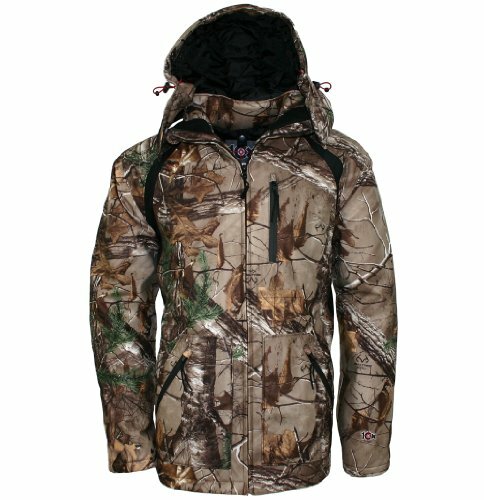 A very good option when in need of a hunting jacket is this Legendary Whitetails Timber Line Insulated Softshell. You need to wash this cold, gentle cycle. Keep in mind only to tumble dry low and never iron the jacket. It’s long lasting, but you need to help it a little bit. In case you want the very best from your hunting jacket and are willing to pay some extra cash also, this Stormr Men’s Stealth Jacket is the thing to get. All in all, this is a good investment of your money for your hunting gear. 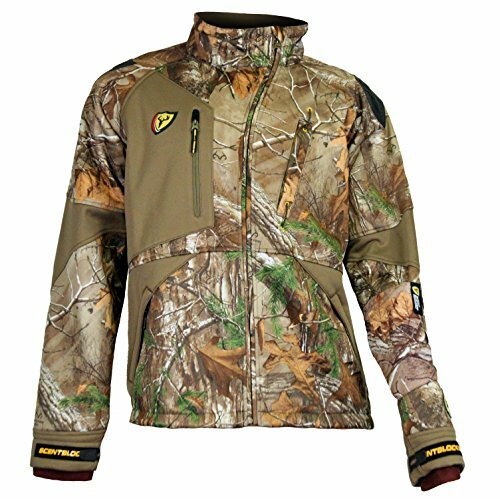 There’s no other hunting jacket than the bow hunting one that needs to be extremely flexible. 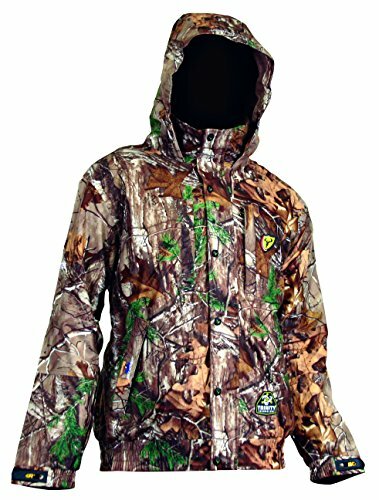 This Scent Blocker Matrix Jacket with Windbrake has a bow guard on the arms which makes it the right choice whenever you go bow hunting. As for the cons, there aren’t any to mention as long as you are willing to pay some extra cash for your bow hunting jacket. If waterproofness is the most important thing on your hunting jacket, this Men’s Waterproof-Breathable Outer Systems Hooded Jacket is to be remembered. All in all, this is a great waterproof hunting jacket that keeps you protected against the elements also. 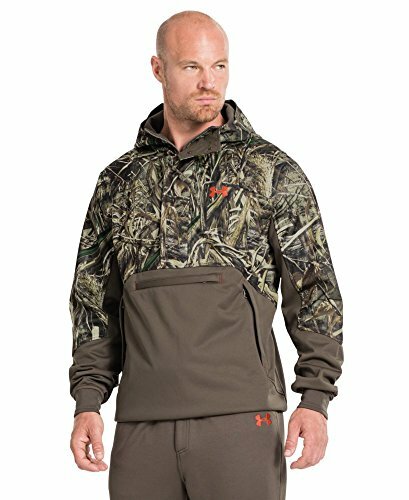 A very well made and well-constructed jacket for your duck hunting experience is this Under Armour Men’s UA Storm ColdGear® Infrared Skysweeper Wind Hoodie. Apart its price that is not very low, this jacket manages to be a great buy anytime. An efficient upland hunting jacket is this Browning Pheasants Forever Upland Canvas Jacket. Apart from the easy to access bird bag, there are many other nice features for this jacket. Some customers got jackets with no removable sleeves. They did get in the end the right model, but it was a stretch. So, considering the price and the performances you get with this upland jacket, this is a good option anytime. 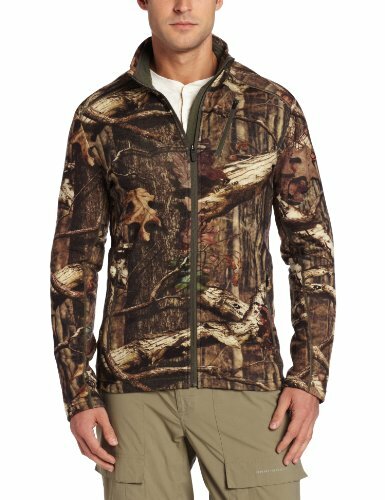 When you are a big fan of the natural fibers, this Icebreaker Men’s Sierra Long Sleeve Zip Jacket is a great jacket to consider. Hunting in the wintertime means you need a jacket that is both warm and comfortable, giving you freedom on the move. 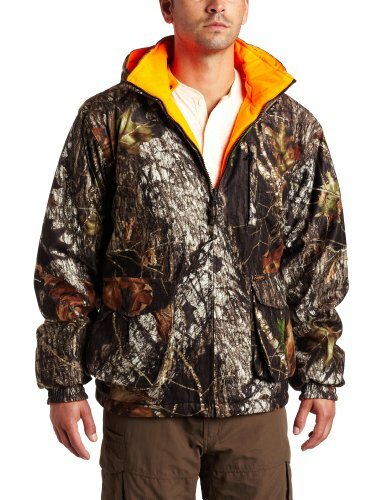 It’s the case of this Yukon Gear Men’s Reversible Insulated Jacket that not only does all of the above, but it has many other good things also. Either than these minor things, this hunting jacket manages to meet your expectations for a winter hunting jacket.